Keep up with the lastest about One College, One Book! Join us for a viewing of two TED Talks related to Flow followed by a discussion led by Dr. Kathy Boutry. Don't miss this exciting One College, One Book event! What is One College, One Book? 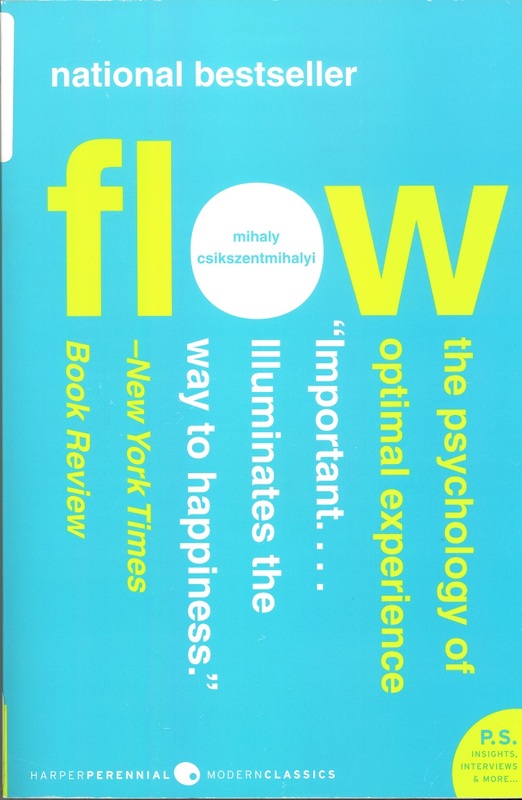 We invite members of the West Los Angeles College community to read Flow: the Psychology of Optimal Experience by Mihaly Csikszentmihalyi. The themes in this book apply to a variety of disciplines and we encourage faculty and staff to incorporate the book and and related campus events into their curriculum. Several copies of the book are currently on reserve at the Library. Copies are also available at your local public library and are available for purchase at the campus bookstore. Mihaly Csikszentmihalyi's is Claremont Graduate University's Distinguished Professor of Psychology and Management. He is also the founder and co-director of the Quality of Life Research Center (QLRC). The QLRC is a nonprofit research institute that studies positive psyhology, the study of human strengths such as optimism, creativity, intrinsic motivation, and responsibility. Csikszentmihalyi is known for his research on the experience of flow, a psychological concept he introduced in his best-selling book Flow: The Psychology of Optimal Experience (Harper Perennial, 1990). THe book has received much praise and attention, being described by the Library Journal as "...an intriguing look at the age-old problem of the pursuit of happiness and how, through conscious effort, we may more easily attain it." Though published in the early 1990s, Flow has continued to draw attention from both researchers adn the general public and has been translated into more than 20 languages. Since then, Csikszentmihalyi has written numerous books and articleso n managing flow. In 2004, Csikszentmihalyi delivered a TEDTalk titled "Flow, the Secret to Happiness," which has more than 3.5 million views. In spring 2017, Csikszentmihalyi was the keynote speaker at The Creative Edge, a creativity conference at West Los Angeles College.